Tosca has lived in Cottonwood for almost ten years and is passionate about the community. She devotes countless hours to volunteer service in the Verde Valley, including helping at a monthly legal clinic at the Old Town Mission. 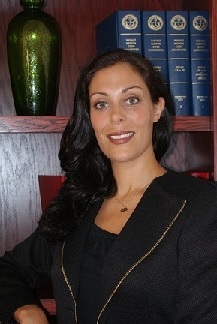 Tosca works as the managing attorney at the Ledbetter Law Firm in Old Town Cottonwood. An outdoor enthusiast and ultra runner, Tosca can be found enjoying Cottonwood's natural beauty in her spare time. As a member of Council, Tosca advocates for sustainable economic growth, fiscal responsibility, and transparency, as well as open lines of communication between Council, administration and community members. Tosca welcomes thoughts on city issues and invites constituents to call, email, write, or stop in and visit her about city items.